experience. It’s like getting the next version of Windows today. they’re ever released and you get free updates to all Object Desktop applications. Brand New Applications, starting with DeskScapes 10, which will let you completely personalize your desktop wallpaper with animations, pictures, and video. New Object Desktop Manager, (coming soon) with a sleek new look, making it easier to access betas and install, update, and manage your applications. 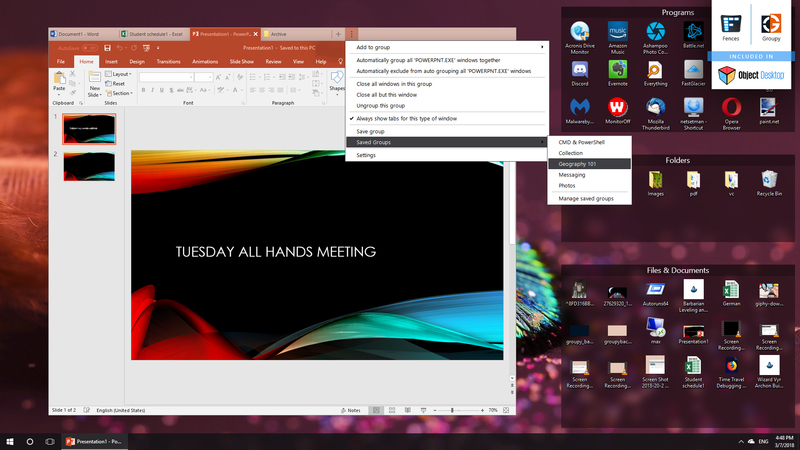 Major Updates to your favorite Object Desktop applications. 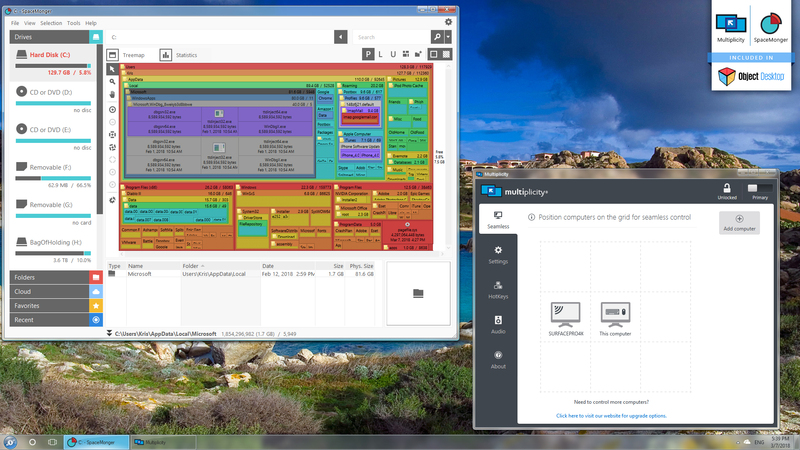 Personalize your desktop wallpaper with animations, pictures and video. As well as the obvious dark / light mode, the interface now splits the list in to folders allowing improved management of your backgrounds. 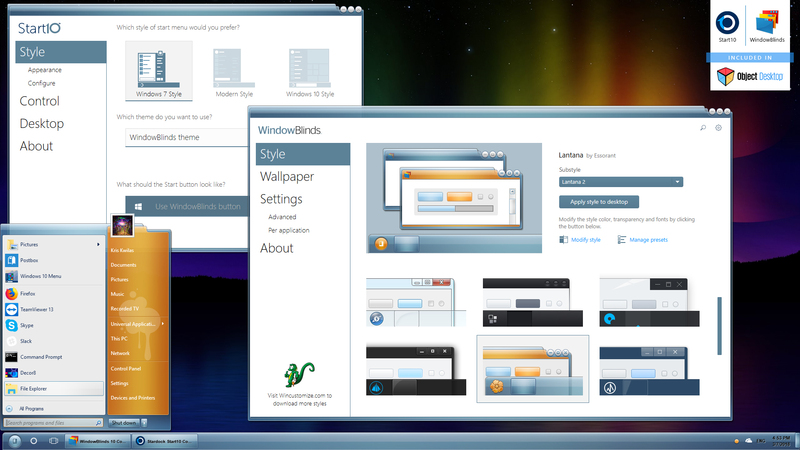 Directly browsing the WinCustomize library from within the application puts new backgrounds a click away and offers greater exposure of new Deskscapes and wallpaper backgrounds to other users. If you've ever found yourself loading up an image into a photo editing app to tweak it to make for a better desktop background, look no further than DeskScapes 10. 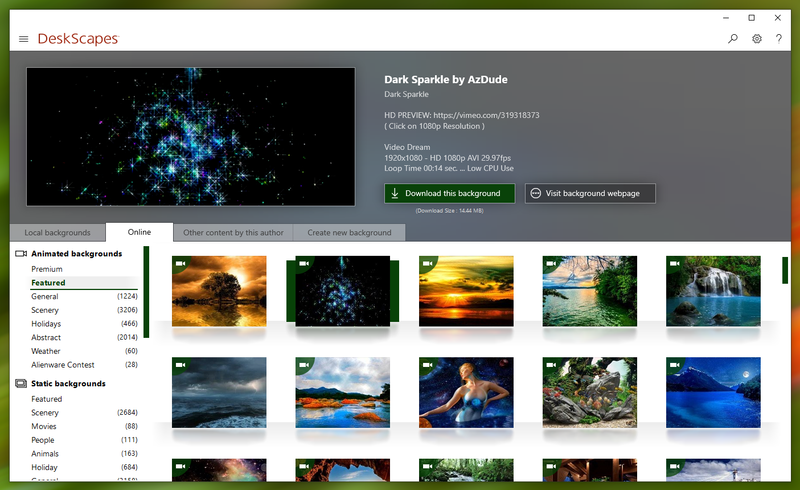 The beta includes over 60 effects, along with the ability to combine multiple effects to give users the ability to turn pretty much any image or video file into a usable desktop background. *Sale ends 3/26/2019 at 1PM ET. Lovin it. Working great here. Just one CTD after constantly changing Dreams and WB themes. Reboot fixed it. Is there some reason Dream Maker can't be reworked to accept 200 megabytes? Some of the Dreams I 'd like to make for personal use are over the present 150. I cut and cut and loose the effect of the dream. You can run a WMV format video in Deskscapes on your desktop . on your desktop like a dream . Thanks AzDude. I will do this when Deskcapes 10 comes out of beta. Had trouble with 10. One more thing. Should Deskscpes 8 be totally removed before installing 10? If you use the disable Deskscapes option it will reset your desktop to whatever it was set to before Deskscapes was enabled. This is stored in the oldwall registry key. Deactivate it before you uninstall and you won't run out of activations. The only account I have is that I'm the administrator. Do I really need to create another account? Follow the guidelines in the link as what you should do , please. Thanks for all your help. I give up. Nothing should be this difficult. I tried this beta but to some extent it is a step backwards I like to have all my wallpapers and dreams to be random but with this version I have to add each file individually to the random folder which is extremely tedious when yo have 1000+ wallpapers at least with the last version you could "select all"
oldwall works great on Descapes 8, does not work on DS 10. ? Is there a registry fix fro that? and i'll check it out . are you saying "oldwall" is a dream that works in DS8 but not in DS10 ? if so that link above is not a link to the actual dream . That link line you show does not show for me . When I disable DS10 oldwall in the registry is supposed to return your desktop jpg as it was before you started DS 10. When I disable DS 10 My desktop has NO previous jpg (picture). All I get is a blank white desktop. Thanks. AZDude. I'll keep watching. BTW..I'll keep using DS 10beta with it's flaws, or it just could be me. Hope DS 10 will be better out of beta. A decent observation - have logged it internally - ty.